Former Education Secretary Arne Duncan’s new book, "How Schools Work: An Inside Account of Failure and Success from One of the Nation's Longest Serving Secretaries of Education," has recently been a topic of discussion across various news outlets. Duncan’s book offers a critical view of America's schools, which he feels are way behind their international counterparts. He also suggests ways to improve the system so that both teachers and students benefit in the future. This view is not an uncommon one. Most Americans now agree that the system needs a rethink. 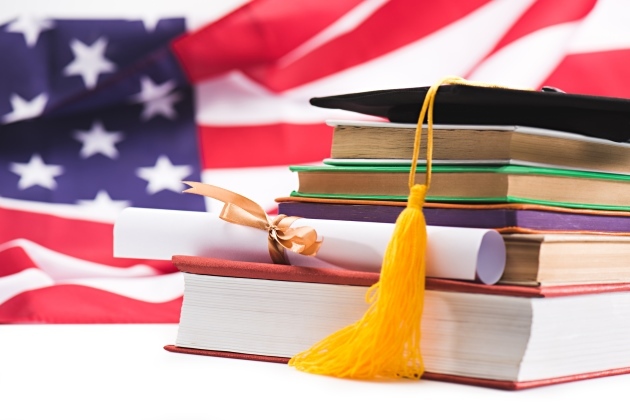 American students do not rank in the top 10 in for K-12 or higher education internationally. This does not bode well for the future. Rethinking America’s education system has, therefore, become a priority. Secondary education in high school was made compulsory about 100 years ago. What started as a massive boost and led to unprecedented economic growth did not grow any further. The world and our society have drastically changed since then. The nation has become more diverse and inclusive. The world has gone digital, and educational standards and needs have grown by leaps and bounds. Our model needs to be adjusted. Other nations are investing more and innovating more when it comes to their educational models. In an ideal world, academics would remain separate from politics, but we do not live in that world. While there are some political leaders who are working hard to make a difference, their numbers are too small for the vast multitude of students they are trying to affect. The two previous presidential administrations tried to bring about some changes with mixed results. No Child Left Behind, Race to the Top, and state-led Common Core standards have led to massive debates over the years. Some of the performance elements that need to be tackled include high-quality pre-kindergarten, better high school graduation rates, making high school graduates 100 percent college ready, and to lead the world in college completion once again. This is not going to be a small feat, but if we don't want our kids to lose out, we should try hard. A lot has been said about losing our jobs to other nations. The foundation for a sound economy and its success still lies in solid education. If we want high-wage, high-skill jobs to remain in our country, we need to step up and improve the education system. It will require massive restructuring and upgrades, but it will also need room for flexibility and local innovation to keep up with the changing times. Another important focus is to value teachers more. They need to be respected and compensated as professionals and for making such a difference in our lives. They also need better training and classroom support, factors that go a long way to improve the quality of education. Demands on educators have become more challenging over the years. We need to offer them better resources before criticizing them for performance. Think back to the massive teacher walkouts earlier this year and rethink how we treat them. The critical thing to remember is that jobs are plentiful for qualified and knowledgeable people. Lack of education is not going to drive that knowledge.